While manufacturer's websites are a good source, it can be challenging for AEC professionals to find the information they need. 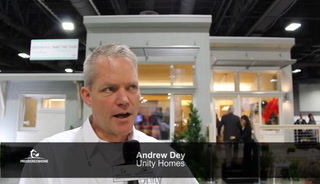 The 2015 Greenbuild Unity home, erected in just a few days on the expo floor, was designed to show case the state of the art of affordable high performance home building. Asphalt shingle roofing is by far the most common residential roof in the U.S., and the industry is working to make it a more sustainable option, including recycling and integrating with renewable energy. As the winter months approach, a home's first measure of protection against rain and snow is the roof. GAF, North America’s largest Roofing Manufacturer based in New Jersey, offered these tips for how to get your roof ready for the cold winter. 1. Check the roof framing structure to make sure it is not compromised.